Musicians On Call has announced it will officially launch its first programs in New Orleans in 2018. 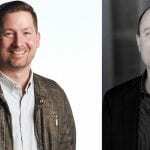 This major expansion for the organization is thanks to a new partnership with New Orleans native, Tim Goux, a healthcare entrepreneur, investor and founder of the CareRise® family of healthcare companies. Musicians On Call’s Bedside Performance Program brings live, in-room performances by Volunteer Musicians to patients undergoing treatment or unable to leave their beds. These visits add a dose of joy to life in healthcare facilities ranging from children’s hospitals to adult facilities, VA hospitals and rehabilitation centers. 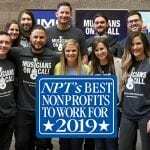 Since 1999, Musicians On Call has performed for over 600,000 patients, families and caregivers in 14 major markets across the country. “I grew up in the healthcare business. As a kid working in healthcare facilities, I would always see the joy and happiness that the volunteer musicians would bring to patients, while in many cases performing on weekends and special occasions. When I learned of MOC and their story, it was almost immediate that I knew I would like to partner with them in bringing this incredible program to New Orleans, considering they were already in other major cities such as Los Angeles, Dallas, New York, Atlanta, Nashville, San Francisco, Miami, and Boston. Many of us at some point in life are going to be facing some type of healing and recovery process. Sometimes those events are serious, and it means that we are in a hospital or skilled nursing and rehab facility receiving 24/7 care. At these exact times, patients are working very hard on their recovery, families are there supporting them, and sometimes, a lot of prayers are being sent up requesting a miracle. At that moment, when someone may feel there is no way out, when that duet comes in and plays an incredibly soothing inspirational song with beautiful acoustic guitar or piano instrumentals, ‘the hope and joy become real, it is very powerful’. It is an honor and privilege to have been accepted by the MOC organization to bring this powerful program to my home city and state,” CareRise® founder Tim Goux said. 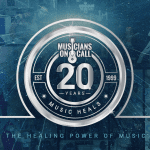 Musicians On Call is currently seeking support from community partners in the New Orleans area. If you can help, tell us how by becoming a Champion.